The Annual Holiday Gathering for the Lincoln County Historical Society, a fun, casual and music-filled holiday mixer, will be held on Saturday, December 5th, from 4:00 to 6:00 pm. Festivities will take place around the cheery warmth of the fireplace in the Maritime Center’s Great Room, and will include refreshments and live musical entertainment. The celebration coincides with the annual Bayfront Lighted Boat Parade, which can be viewed from the comfort of the Maritime Center. Attendees to this long-standing community tradition can also check out the museum’s exhibits and experience the thrill of free elevator rides! For those looking to do a little holiday shopping, the gift shop will be offering a Special Holiday Discount only available during this event. 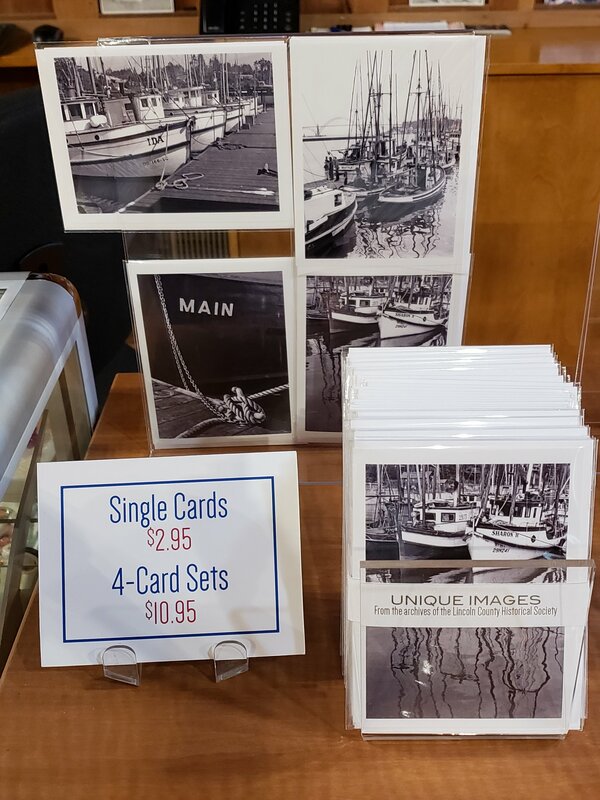 The Maritime Center gift shop has an outstanding selection of maritime and history publications, as well as locally produced items. Admission to the Holiday Gathering is free for members and kids under 12, and $5.00 for non-members. The Pacific Maritime Heritage Center is located at 333 SE Bay Blvd on Newport’s Historic Bayfront. For more information, call 541-265-7509.